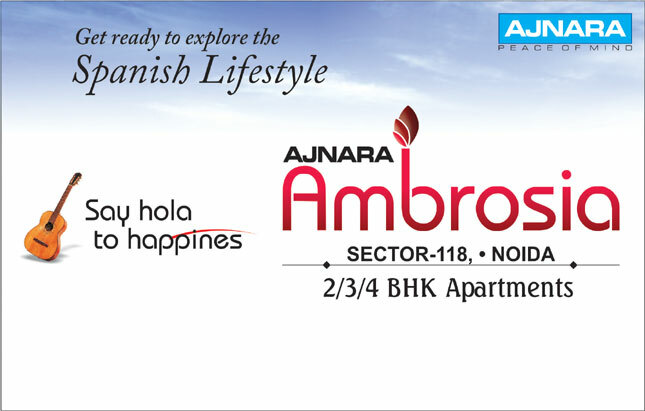 Ajnara Ambrosia is a new way of living lifestyle because project is inspired from Spanish living and it has situated in the heart of Sector 118, Noida. You will get feel like living in Span city and enjoying every facilities at best price. The project is design by the most renowned real estate developer Ajnara Group that will fulfill your every requirement at affordable price. 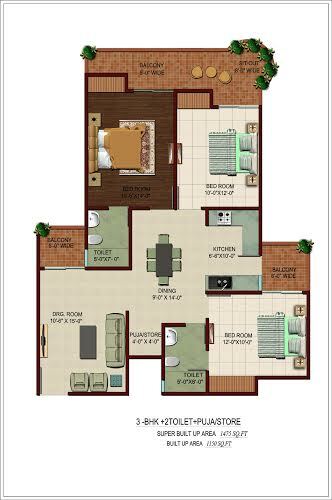 The project offers different size of 3BHK and 2BHK flats apartment with premium lifestyle at competitive price. Professional and well-mannered people are living in locality so the place is safe and secure for living with family members. The famous builder Ajnara has again launched a top-notch residential project named as Ajnara Ambrosia that based at GH-01, sector-118, Noida. This dream project comprises ultra modern apartments in 2, 3, and 4BHK ranges. The whole project is planed smartly by the giant and has built safely. The company takes pride in rendering all modern housing comforts in the villas such as furnished kitchen, toilet, hall, bedroom, lawn, windows, doors, etc. 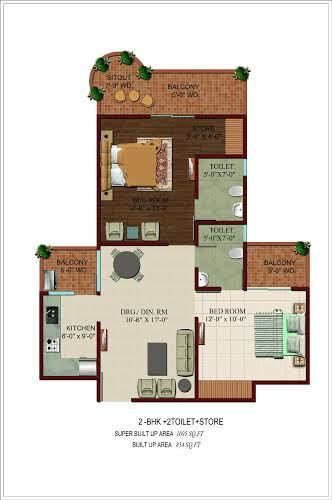 Besides, the size of each apartment is big and may lie between 1095 sq. ft to 1995 sq. ft. Furthermore, the project has multiple floors and more than thousands of units to sell. Ajnara Ambrosia is planned precisely by the company in order to fulfill own home requirements of many families in Delhi/NCR. 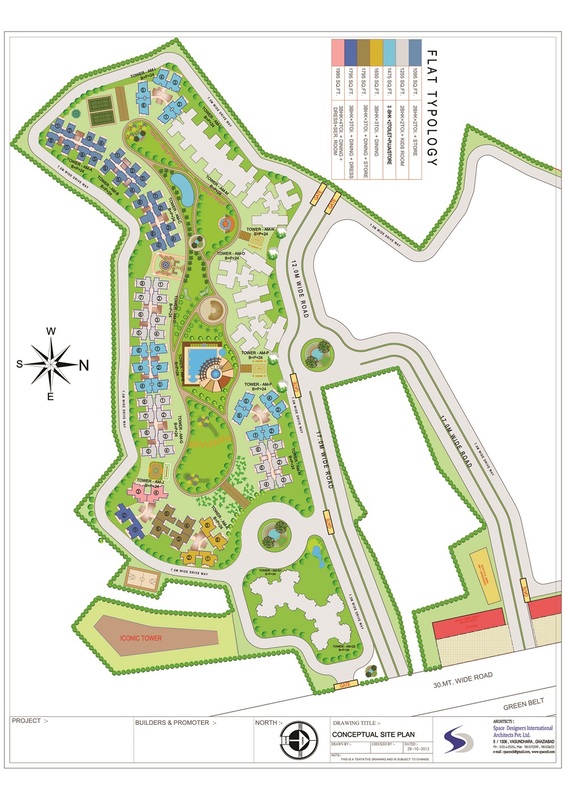 The project includes many outstanding amenities such as gym, swimming pool, parking, garden, golf course, tennis court, 24x7 water supply, security, etc. Besides, the project is located at an eco-friendly place in Noida and is well connected with nearest metro station, mall, hospital, and school as well. Thus, it is a good choice for home buyers to book units in advance in the project. The company has set prices of apartments as per industry standard and possession is also available on time. 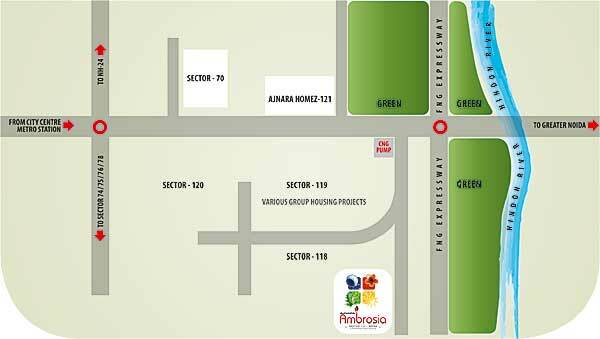 Sector 118 Noida 1650 Sq.ft. 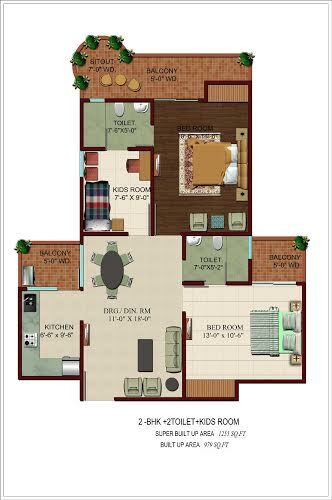 Sector 118 Noida 1475 Sq.ft. 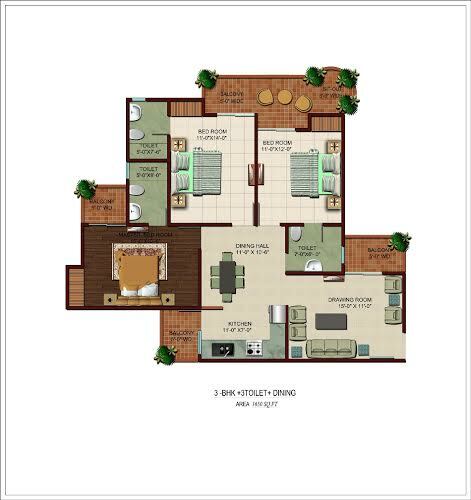 Sector 118 Noida 1255 Sq.ft. 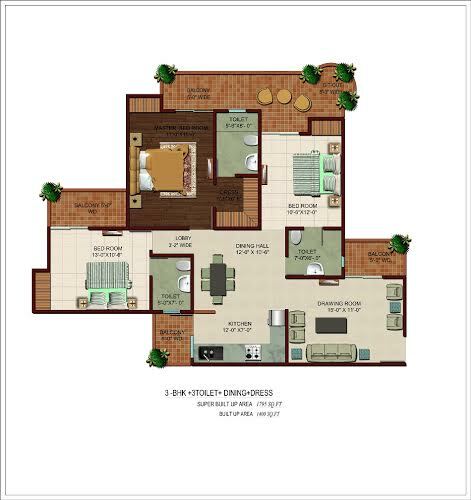 Sector 118 Noida 1095 Sq.ft. 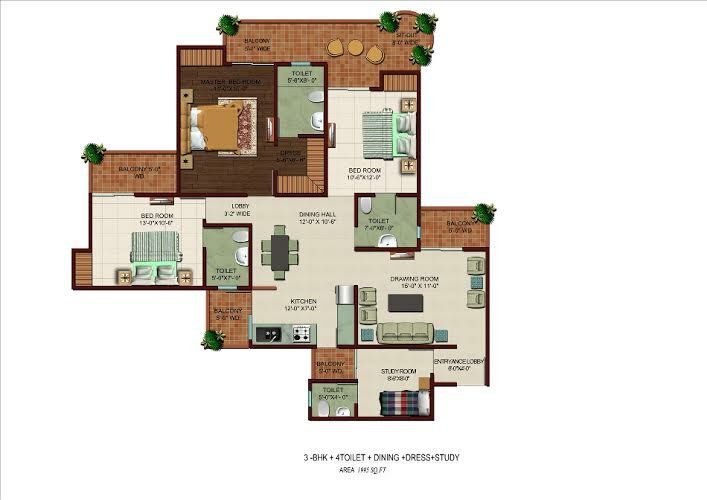 Sector 118 Noida 1020 - 2170 Sq.ft.